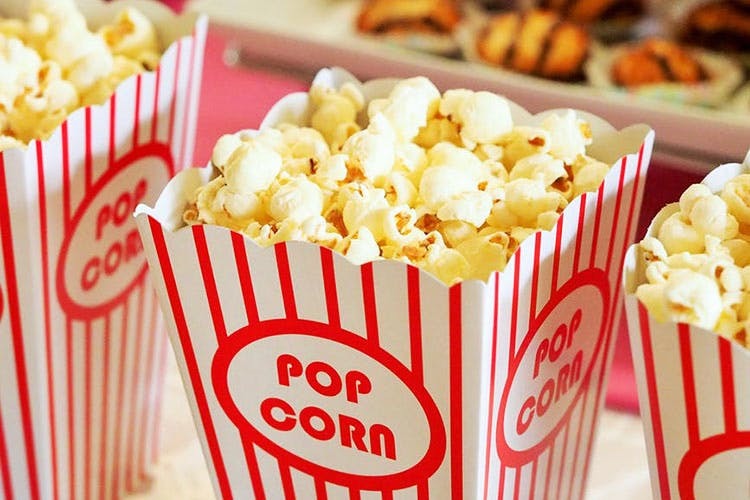 Love watching movies on the big screen, but hate paying big bucks for food in multiplexes? Then, we have good news for you! Movie goers will be able to buy all kinds of packaged food including chips, water bottles and cold drinks at MRP soon. Starting this 1 August, food courts at multiplexes and other theatre canteens will be pocket friendly. No more hunger pangs mid movies, folks! So, keep an eye out for the price tags on your bucket of popcorn, and don't pay a penny more. Look out for the quantity as well because we hear that these items will now be sold by weight. If you find that these rules are not adhered to, and you are asked to shell out ridiculous amounts of money, quickly lodge a complaint on toll-free on 180042500333 or WhatsApp 7330774444. This news was first reported on The New Indian Express.